Take-Two Interactive doubled its fourth-quarter revenues thanks to strong BioShock Infinite sales, but it still didn't manage to turn a profit. Take-Two reported its fourth quarter and full-year financial results today and overall the situation looks pretty good. The publisher once known for living or dying on the fortunes of Grand Theft Auto reported that its revenues for the fourth quarter of FY2013 hit $299.5 million, doubling the $148.1 million earned in the same quarter of FY2012. 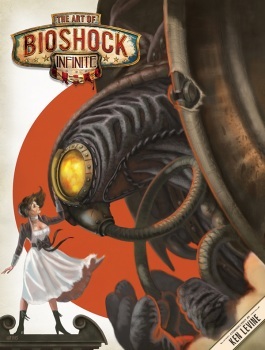 The big boost was driven primarily by BioShock Infinite, which saw "significantly higher first month sell-through than any other BioShock release" and has sold more than 3.7 million units so far. The company's full-year totals were up substantially as well, reaching $1.214 billion compared to $825.8 million in the 2012 fiscal year. It wasn't enough to result in a profit but it nonetheless improved Take-Two's financial position considerably; the company reported a loss of $31.2 million for the year, compared to a $107.7 million loss in 2012. Take-Two credited the boost to solid performances from Borderlands 2, NBA 2K13, Max Payne 3 and XCom: Enemy Unknown, as well as continued sales from older titles Grand Theft Auto IV and Red Dead Redemption. Digital sales for the year were up dramatically as well, growing 148 percent on content for Borderlands 2, NBA 2K13, Civilization V, XCom and the Grand Theft Auto franchise. "With BioShock Infinite, Borderlands 2, NBA 2K13 and XCOM: Enemy Unknown, our 2K label released four of the past year's most critically acclaimed titles," Take-Two Chairman and CEO Strauss Zelnick said in a statement. "With Rockstar Games launching Grand Theft Auto V in September, fiscal 2014 is poised to be one of our best years ever." He said the company expects to be profitable in FY2015 and "for the foreseeable future."